Looking for a qualified and reliable Melbourne to Brisbane removals company? We can help! Since 1992, Caloundra Removals & Storage have helped customers pack, transport and store their belongings. 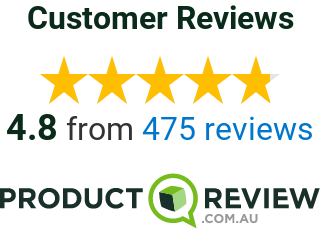 As one of Australia’s top removalists and storage providers, we have the experience and resources necessary to make your move seamless and hassle-free. Whether you need to pack up a household of belongings or just move a couple pieces of furniture, our team is up to the job. We’ll pack your items quickly and efficiently, saving you hours of back-breaking work. In addition, we offer customised moving packages so that you only pay for the services you need. If you’d like to be confident that your items are protected en route from Melbourne to Brisbane, rely on our skilled packers. Our trained removalists know how to pack fragile items with care so that they aren’t jostled during transport. In addition, we wrap your furniture in heavy-duty plastic covers to ensure it arrives at your new home in pristine condition. As you can see, your home and its contents are in good hands when you let us handle your Melbourne to Brisbane removals. As a family-owned and-operated company, we pride ourselves on our diligent work ethic and commitment to satisfaction for our customers. To learn more about our services and rates, call us on 1300 723 783 or send us a message online. We’d be happy to discuss your removal needs with you and offer you a detailed quote. We look forward to hearing from you!